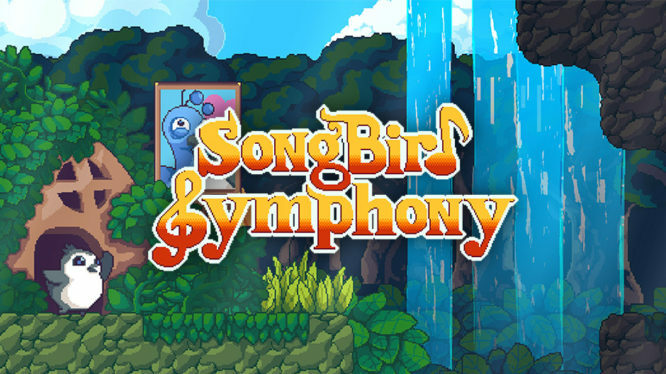 PQube and Joysteak Studios have announced that the bird-centric beat-based platformer, SongBird Symphony, will be launching on Nintendo Switch on July 25th 2019. SongBird Symphony will also be heading tor PS4 and PC on the very same date. Developed by Singapore based studio Joysteak, SongBird Symphony pitches itself as a “platformer with a musical twist”. Taking on the role of an orphaned chick named Birb, players must navigate their way across a forest of seamless levels (packed with hidden passages and charming characters) to discover their true origins. The game features a variety of musical puzzles to solve, forest fables to learn, hidden collectables to uncover, and challenging rhythmic boss battles to test your timing. Every area in SongBird Symphony not only moves to its own background beat, but also incorporates elements that can only be used by embracing the forest’s rhythm. Uncovering hidden mini-puzzles will reward players with additional sound queues that blend in with the overall music (and those lucky enough to discover them all can even unlock a unique symphony).